Wilderness Resort is really fun! | Bonjour, amigo! Wilderness Resort is really fun! Wilderness Resort, America’s largest waterpark resort, located in Wisconsin Dells, was very fun and I went down really big slides. But the first times I went down the slides, I was really scared, but then it was really fun. And I just wanted to do it 100 more times – it was so fun! I liked it so much. The blue and orange slides, I could only do it twice. But the purple one, I could go down a lot! The first times on the lazy river, we went together on the one with two seats. It was me, my mommy, and my baby brother Anthony went on there once. The other times, we went on it separately. But one time, I fell off the raft as soon as I got on. I went underwater and did a flip! It was really funny and I got water up my nose. 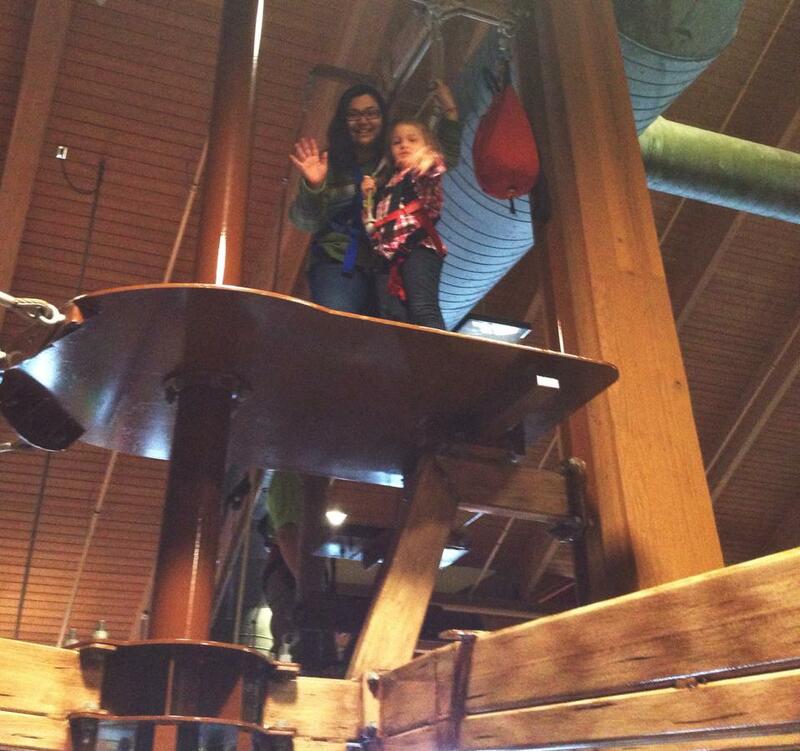 There’s a ropes course inside and it was just as fun as the water slides. I got measured but I was too small to go on the ropes course by myself. So Mommy went with me. I was scared on the first one. I took one step onto it and then I was frozen! But the rest of the times, it was super fun. Alex, one of the workers there, helped me and held my hand so I wouldn’t be afraid. He was so helpful. Mommy and I rode on the go-karts, too. It was so fun! I’m too young to go by myself so Mommy had to go with me. She did the driving and we went really fast. It was very cool. I want to go back because it was so fun. And, maybe if we go back, I will be big enough to go on the ropes course by myself – and even on the go-karts. And, guess what? I’m sure you can’t guess so I’ll tell you: At Wisconsin Dells, it was snowing! There was snow on the ground everywhere. I just wanted to build a snowman but we were leaving that morning. Hopefully we can go back in the winter because maybe there will be enough snow to make a snowman, or even snowballs, and Mommy and I can have a snowball fight! I think it would be really fun. Mommy said she has to say something important here: We were guests of Wilderness Resort for this weekend trip. All words, opinions, and enthusiasm are Lucia’s. 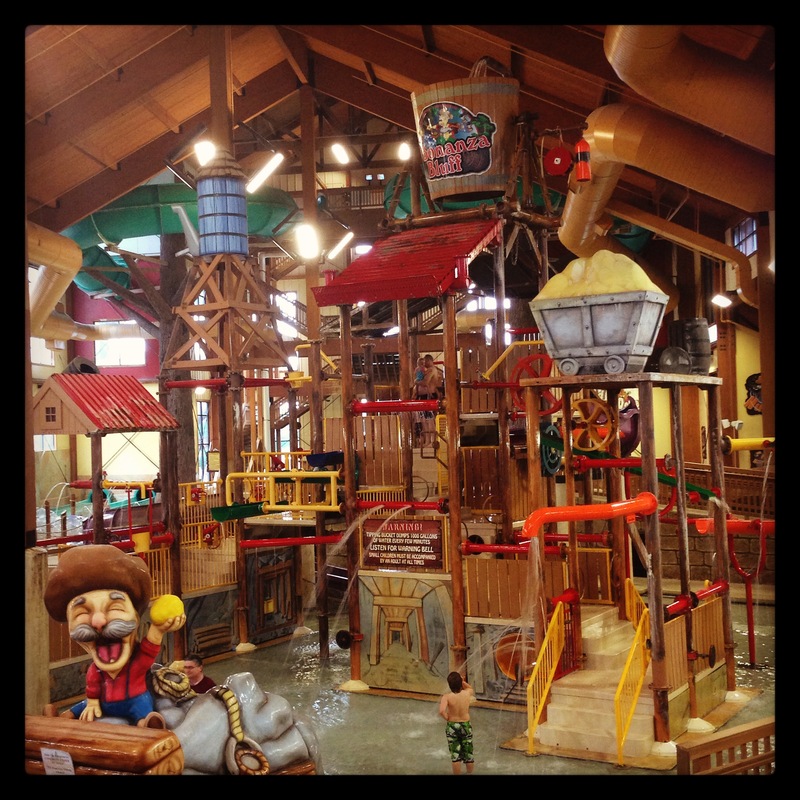 This entry was posted in Wisconsin and tagged Wilderness Resort, Wisconsin, Wisconsin Dells. Bookmark the permalink. Congrats on doing all these fantastic activities. The Wilderness Resort was lucky to have you. I know I am inspired by your adventures. I can’t wait for the snow too.